A hybrid mod is a mechanical mod that doesn’t have a standard 510 connection in the top cap. Instead there’s just a 510 threaded hole that allows your atomizer to make direct contact with the battery. Needless to say this is a recipe for disaster if you don’t know what you’re doing. 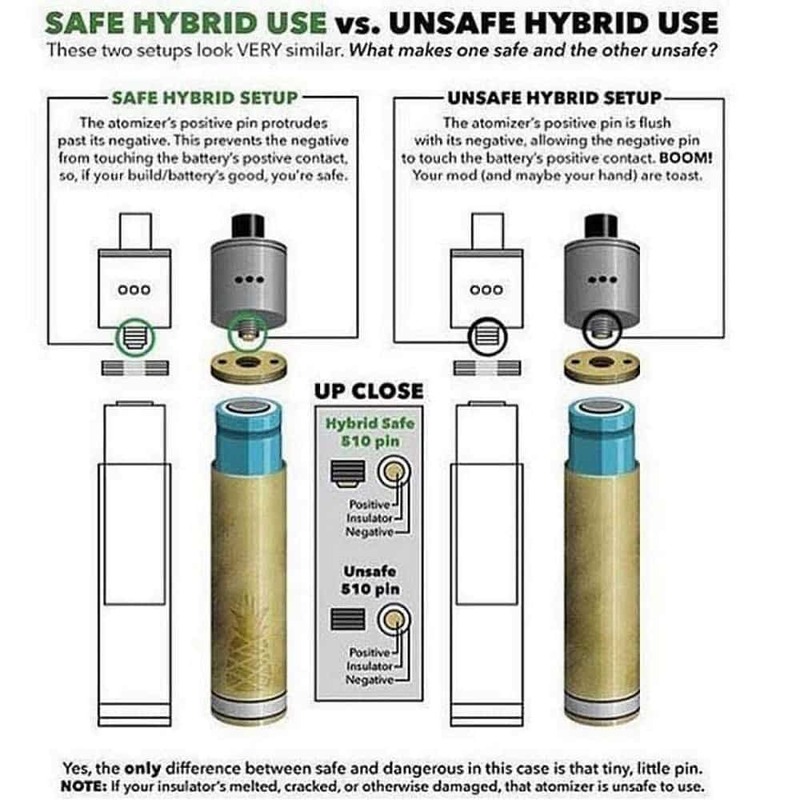 This handy-dandy infographic will show you how to make sure that your hybrid mod doesn’t go “boom” while you’re vaping. So there you go! Just make sure that the positive pin protrudes past the negative and you’re good to go. Obviously standard mechanical mod safety precautions apply (you’ll need an ohm reader, check battery amp rating, etc), but as far as hybrid-specific concerns go this is really the only thing that’s going to turn your mod into a pipe bomb. Do you use a hybrid mod? Yes. They are safe as long as you know what you're doing. No way! Hybrids are a ticking time bomb waiting to explode!